Through-the-scope (TTS) endoscopic clipping devices are widely used. No benchtop testing or direct comparisons of these endoclips have been performed to show their rotational ability and inherent mechanical strengths during closure and after deployment. This study aimed to provide benchtop data that can be used to guide clinical applications and to promote future device research and development. Benchtop testing and comparisons were performed for three groups of TTS clips: QuickClip2 long, resolution, and instinct clips. The main outcome measurements were device-in-endoscope retroflection angles (DIERA), opening strength, “snapping” force of acute clip closure, and neoprene pulling strength. The achievable gastroscope DIERA was 10° for QuickClip2, 3° for the resolution clip, and 10° for the instinct clip. 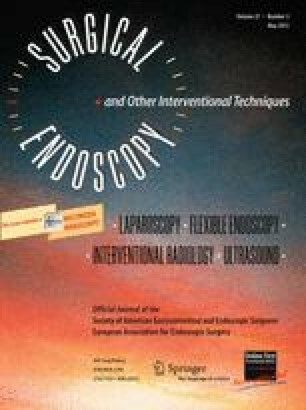 The QuickClip and the Instinct clip rotated almost equally well under all endoscope configurations, including endoscopic retrograde cholangiopancreatography (ERCP). With or without a sheath, the resolution clip lacked the ability to rotate. During clip opening force testing (the amount of force required to force open the jaws of a deployed clip by 3.2 mm; 3.2 mm was chosen due to the standard dimension of the gauge used for the measurement), the Instinct clips were the strongest. For the Instinct clips, an opening force of 404 ± 124 g was needed to open the closed clip, and an additional 386 ± 133 g was required to open the clip jaws to 3.2 mm. In terms of snapping force during acute closure and neoprene pulling strength, the instinct and resolution clips performed almost equally. The limitations of the study were the benchtop testing and the finite sample size for closing and pulling strength comparisons. The QuickClip2 and the Instinct clip rotate equally well under different endoscope configurations. The resolution clips lack rotational ability. The instinct clips are stronger mechanically than the other two TTS clips. Stronger clips are perhaps associated with higher therapeutic efficacy and retention rates. Some of the endoclips used in this study were provided by Cook Medical, Winston-Salem, NC, USA. Sumanth R. Daram, Shou-jiang Tang, Ruonan Wu, and S. D. Filip To have no conflicts of interest or financial ties to disclose.